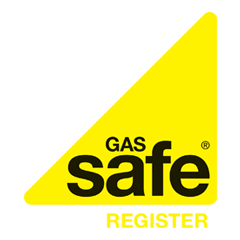 Carbon Monoxide safety charity CO-Gas Safety has called for The Gas Safety Regulations to be changed to make it compulsory for all inspections of gas appliances, like gas boiler services, to be carried out using specialist gas analysers. And London-based Pimlico Plumbers has backed the calls, branding the current regulations as ‘madness’. Pimlico is attempting to set an example to the rest of the industry by allocating each of its Gas Safe Registered engineers with the analysers, widely believed to be a requirement to effectively complete a gas inspection. Managing Director of Pimlico Plumbers Charlie Mullins said: “The current regulation is madness and puts so many people at risk. “It is total commonsense to clarify the regulations and make this equipment mandatory. The call for a change in the Gas Safety (Installation and Use) Regulations 1998 was launched by Stephanie Trotter, the President and Director of CO-Gas Safety. Trotter called for action at the launch of the All-Party Parliamentary Gas Safety Group at the House of Lords, which received positive feedback according to the Pimlico MD. “The reaction from the cross-party parliamentary group to our calls was positive, but I am not waiting round for any changes”, added Mullins. “By giving my engineers the analysers, we are adding to their safety and the safety of the people using the gas appliances they inspect. Trotter said it was ‘ridiculous’ that the analysers were not mandatory, saying: “Since 1995, nearly 600 people have died that we know about from carbon monoxide poisoning and we know we only see the tip of the iceberg.